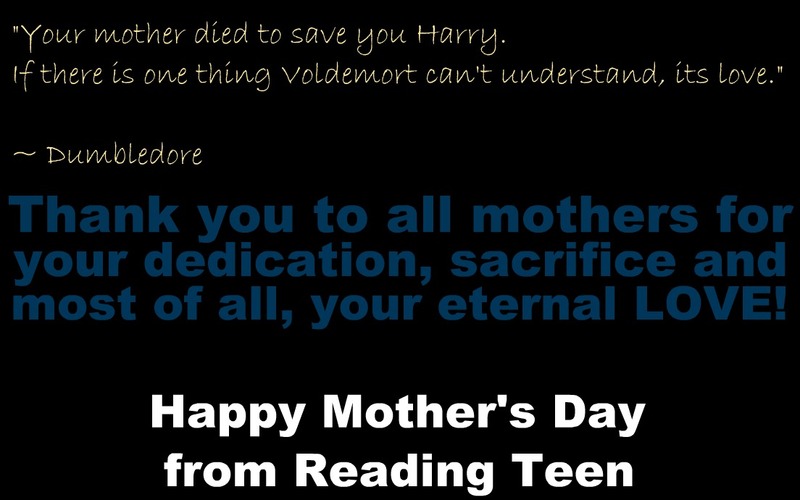 Google+ Reading Teen: Happy Mother's Day from Reading Teen! Happy Mother's Day from Reading Teen! Excellent choice of quote! I love it. Happy Mothers Day to Amy and Andye! That has always been one of my favorite quotes from the movie! :) Happy (late) Mama's Day to Andye and Amy!